Posted on 04/05/2017 at 11:02 am. 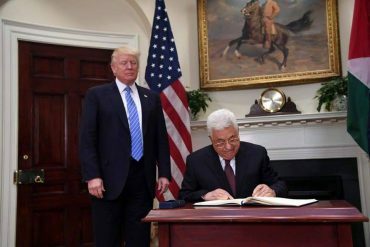 WASHINGTON, May 4, 2017 (WAFA) – President Mahmoud Abbas said on Thursday that US President Donald Trump is enthusiastic about peace and that he has a vision for a political solution for the Middle East conflict. 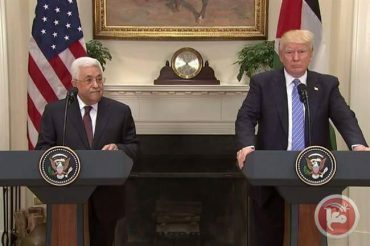 Speaking in an interview with Palestine TV, Abbas said he talked to Trump about Palestinian aspirations and position, such as “our position on terrorism, which was important to clarify to President Trump, and our position and vision on the two-state solution,” said Abbas.